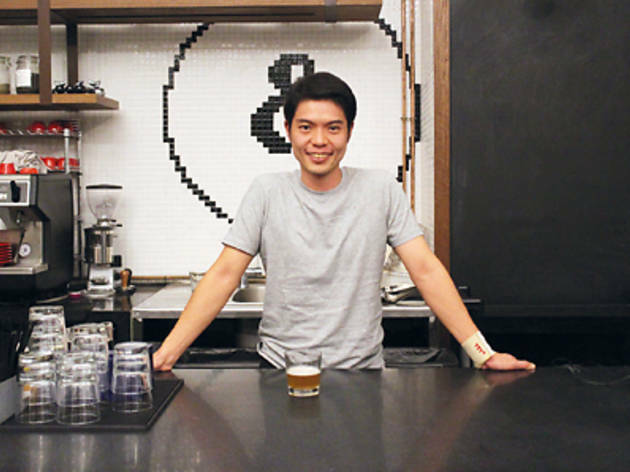 Neo Say Wee is something of a beer brewing pioneer in Singapore – he helped get private brewing legalised here in 2004 and has held brewing classes at local community clubs and cooking schools such as Shermay’s throughout the years. He’s back in the news now with a collaboration with Five & Dime co-owner Hsu Chen Kang, upgrading his previous appointment-only shop for customers out of his quiet Telok Blangah neighbourhood joint to a roomy, full-time hobby shop above Five & Dime on River Valley Road, called The Homebrew Co-Op. 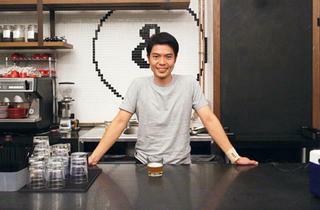 ‘Opening this shop is a ten-year dream come true,’ says Neo, who also works as a brewer for Brewerkz. Not just a co-op in name, the duo hope to do more than just supply malt, hops and brewing advice for aspiring home brewers – the space will also serve as a community club for current homebrewers and beginners alike to further their craft and pick up new tricks to perfect their beers. Classes will be offered by a roster of been-there-done-that home brewers to teach everything from newbie-level classes like simmering your very first batch of liquid gold to working out beer and food pairings, plus more advanced tutorials such as tinkering with electronics to create your own fridge temperature controllers and cultivating your own beer yeast strains. If you’ve ever been interested in brewing your own beer, this is truly the only place to go in town.